In a recent article published by Al Jazeera America, the question was asked: who can afford to live where? The story described some middle class homeowners’ reactions to the prospect of new housing units being built in their neighborhood for low income employed people. NIMBYism (Not In My Back Yard) comes to my mind. Many people want to help the poor and are willing to volunteer their time, but often it becomes a different story when you talk about living next to them. A sticking point in the article was that if low-income housing is built, it may bring down the other home values in the neighborhood. Right now, in Anne Arundel County, Maryland, the battle lines are clearly-drawn, with homeowners opposing the development of low-income housing in their neighborhood and developers hoping to take advantage of tax breaks if they build new units for less advantaged citizens. The County Council seemed to align with the higher-income residents when it submitted a bill to repeal certain tax exemptions that would ease the way for the proposed affordable housing units. Do low income people ever have a chance? The answer to that question may lie in a theory that is being used in cases of housing discrimination. The U.S. Department of Housing and Urban Development (HUD) has long used the legal theory of “disparate impact” to determine violations of the Fair Housing Act, even in the absence of discriminatory intent. HUD formalized its standard for disparate impact in a rule established in 2013: if a plaintiff (the person that feels they have been treated unfairly) can show a discriminatory effect, the defendant must show that the practice was necessary to achieve a “legitimate” goal that was not intentionally discriminatory. Even if the defendant succeeds in proving that their actions were consistent with the purpose of the Fair Housing Act, the plaintiff can still identify a different and less discriminatory practice and argue that it should have been used. How does this theory play out in Washington, D.C.? It is only recently that the federal government allowed a building to be equipped with residential penthouses and to be twenty stories high. It is no wonder so many people want to live in the District of Colombia: there is vertical space. Over and over, advocates and neighborhoods have been battling gentrification and displacement, with one of the last frontiers being Southeast D.C. 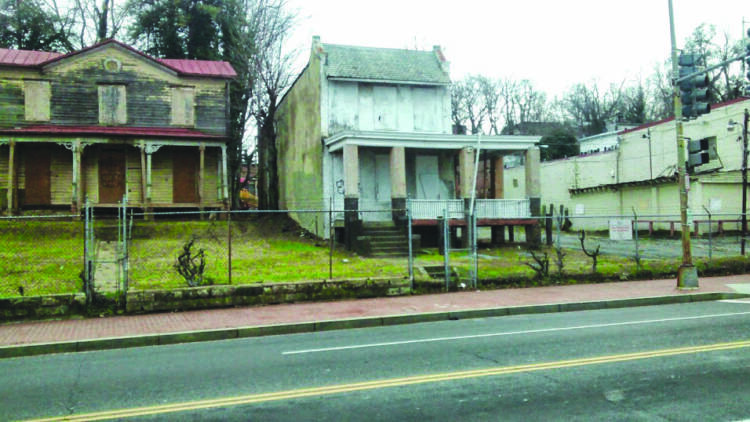 The Department of Housing and Community Development (DCHD) holds several properties within a mile of the Anacostia Metro Station. Growing up in the neighborhood, I’ve watched these properties go unused for years. With the District’s population continuing to grow, I fear new high-income residents will inevitably look here to find more space. But if those sites are developed, housing values, property taxes and rents in the area will increase. If long-time residents in Southeast–many on fixed incomes–say “no, we don’t want our rents or property taxes to increase,” would disparate impact theory save them? If Anne Arundel County is not found to be discriminatory in excluding low-income earners, could Southeast push away new high-income residents to keep their neighborhoods affordable? The Anne Arundel County situation came into focus at the same time a housing discrimination case from Texas went before the U.S. Supreme Court in January. Washington, D.C. will be watching to see how the Supreme Court interprets disparate-impact theory. In time, everyone will see that when talking about housing, we need to all be at the same table.